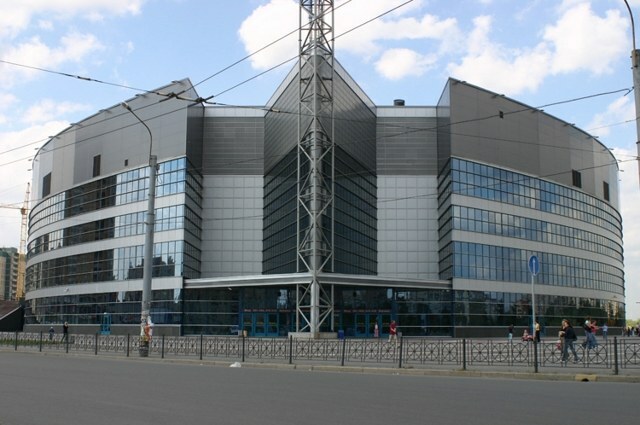 The ice Palace of St. Petersburg – not only the sports hall of national significance, but also a famous concert hall, which was made by the stars of world and Russian stage and hosted the tour of Cirque du Soleil. To get to the Ice Palace in St. Petersburg in several ways. The first and most simple of them. Scheme of the path depends on the starting point. The destination, use the following address: Prospekt Pyatiletok, 1. Here you can drive either on Bolshevikov Ave., or Five, or on the street Kollontai. You can leave your car in the Parking lot of SKA "Ice" or in the Parking lot at the metro station "PR. The Bolsheviks". In addition, in the Parking lot of the SKA you can Park your scooter or bike. The next way to reach the Ice Palace is the public transport. The fastest way to travel from downtown or nearby areas of the city can be called metro. SKA "Ice" at the station "Prospect Bolsheviks", a 13-minute drive from the city center or 35 to 40 minutes drive from any of the outermost station. After you exit the metro you will need to walk about 7 minutes walk to the sports centre. Because it is easy enough to see from any nearby bus stops, additional guidance is not required. The ice Palace is an official stop several taxis and buses. The routes and schedules can be found on specialized sites of the transport companies of St. Petersburg (for example, transportspb.com) or on maps Google maps, Yandex maps where you can build a route from origin to destination for ground transport, metro, car or considering a walking route. In particular, through the Ice Palace are the following bus and bus: K-409 (through the Nevsky district), 102 (follows from the Kalinin district on the South of the city), K-12 (should of the Moscow district in the southern areas of the city), 209 (goes through Central and Admiralty areas of the city, including Nevsky Prospekt). Also, there is a route K-57, duplicating the "yellow" metro line above the ground. If you go to Saint Petersburg from another city by train or train, you can plan your travel by metro, because all the stations in St. Petersburg are in direct communication with the metro stations. Closest to the SKA "Ice" is Ladozhsky railway station, where people come to train them to Helsinki, Murmansk, Arkhangelsk, Yekaterinburg and other major cities. Walk to the Ice Palace can be reached from the surrounding neighborhoods of the Nevsky district of St. Petersburg. Check out the concert or competition it is better to plan ahead, traffic jams on the roads.